Get more insight and more excitement from your favorite sport, with GOLFPASS. Go behind the scenes, learn more about your favorite players, watch original series from the game’s best and enjoy fan-favorite shows - including the most memorable Feherty interviews and more. Plus, watch some of the greatest rounds and moments in golf history by re-living iconic moments from past Ryder Cups and The Open Championship. Enjoy memorable interviews with the some of the most entertaining personalities in and out of golf. Emmy-award winning features from our GOLF team that will pull on your heart-strings and make you realize that golf is more than just a game. GOLFPASS puts you closer to your favorite pros and personalities. GOLFPASS puts the very best instruction in golf at your fingertips. 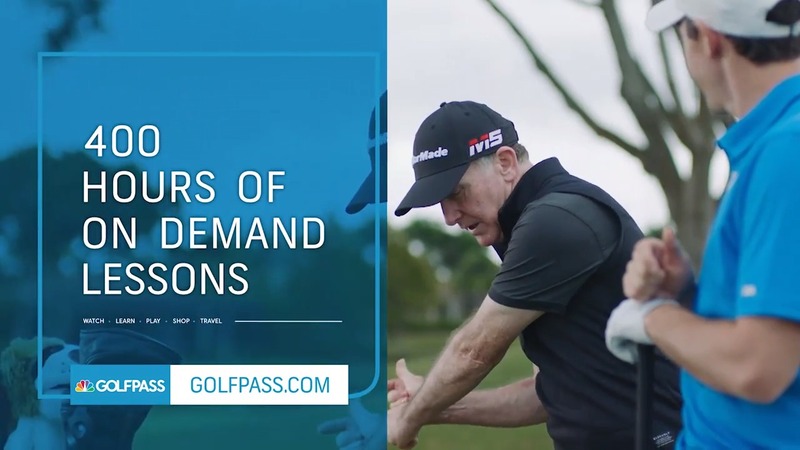 Coaches that the pros rely on—including Sean Foley, Martin Hall, Cameron McCormick and more— have created 400+ hours of on-demand video to help you with every aspect of your game. Play better golf no matter your skill level with custom coaching plans, long- and short-game lessons, club selection tips and more. Dedicated his career to understanding swings of every level. A native of South Africa, highly acclaimed for using cutting edge technology. Our Revolution GOLF Faculty responds exclusively to GOLFPASS member comments and questions on their tip and instruction videos across the Revolution GOLF website. Take your learning experience to the next level with special pricing and early access to personalized training at Revolution GOLF Schools around the world. Play more of the game you love and find new favorite courses with GOLFPASS. Get a GOLFNOW tee time credit each month, good at 7,000 golf courses worldwide, and put your new golf gear or your latest lesson to use out on the course. Plan your next GOLFNOW round and book your tee times quickly and easily with the GOLFNOW app. Find favorite courses nearby, explore new tracks and play more of the sport you love with your monthly GOLFNOW tee time credit. Find and play tee times at thousands of golf courses around the globe. Enjoy every GOLFPASS benefit—including exclusive video, monthly GOLFNOW tee time credit, world-class instruction and travel credit—plus waived booking fees, bonus rewards points and dedicated phone support. Save more and play more golf with waived fees on every GOLFNOW tee time booked with GOLFPASS+. Automatically earn 25% more rewards points on every GOLFNOW booking, helping you earn free golf on GOLFNOW faster. As a GOLFPASS+ member, it's easy to change or cancel your GOLFNOW tee time with Worry-Free Tee Times. Your GOLFPASS membership gives you access to golf gear from a wide range of brands. Take advantage of member-exclusive pricing on clubs, apparel, accessories, training aids, digital instruction tools and much more, with free shipping on every order. Long off the tee, long off the turf! Add strength, flexibility and power to your swing! GOLFPASS members get access to member-exclusive prices on golf gear, apparel, training aids and more. Free shipping on every Revolution GOLF offer means you save time and money when shopping from our curated collection of golf equipment, training aids, apparel and more. If your purchase from the Revolution GOLF shop fails to give you the results you want, you're protected by the Revolution GOLF guarantee. Whether your dream course is down the street or around the globe, GOLFPASS has the travel resources to help you get there. Plan the perfect trip from beginning to end with expert advice on golf destinations, custom travel itineraries, insider information and booking assistance. And with the included travel credit, you can get more out of your next golf getaway. Put together the ideal golf trip with custom-built travel itineraries from industry insiders to all the best golf destinations around the world like Scotland, Ireland and more! Enjoy a $100 resort credit when traveling to GOLF Advisor Club partner resorts like Bali Hai Golf Club in Las Vegas, Red Sky Ranch & Golf Club in Colorado, Reynolds Lake Oconee in Georgia, Sea Island in St. Simons Island and more! The GOLF Advisor Trip Manager tool allows you to track scores, share expenses and keep the good times rolling. Helping you plan, play and pay (or collect payment) the easy way on your next golf trip! GOLFPASS is the must-have membership for anyone who loves the game. 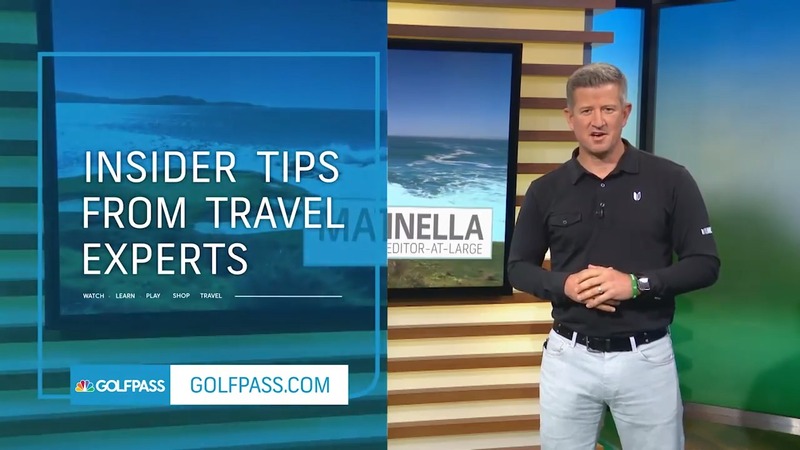 This feature-packed program includes GOLFPASS original shows and GOLF fan favorites, GOLFNOW tee time credit every month*, a free dozen TaylorMade golf balls, 400+ hours of world-class instruction, exclusive travel tips, a $100 travel credit at popular resorts and more!